The climb itself takes around an hour, gradually moving about 600 feet with stops in the pools and time to take pictures. 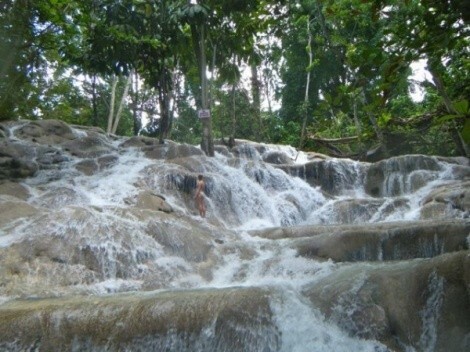 The falls is a sort of national park for Jamaica and they will only let you do the climb as part of a guided tour, which makes things safer, but also takes away some of the sense of adventure. 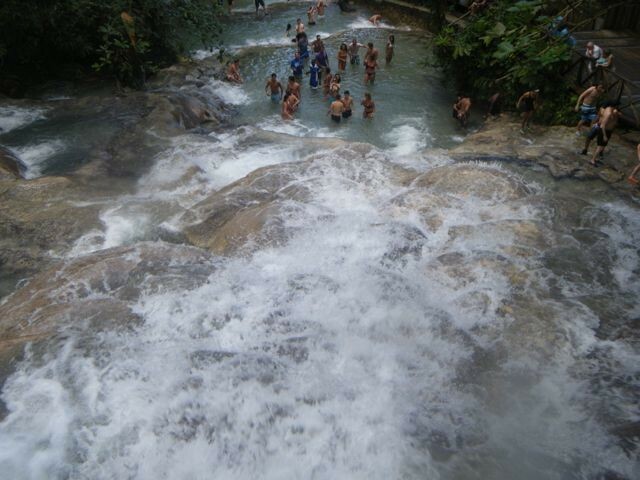 The falls can also get pretty crowded at certain times of the day. Despite such “touristy” aspects, it’s still so incredibly beautiful, it’s one of those things you just have to go see if you’re in the area. The main reason something becomes a big tourist draw is because “nobody else has one,” and that’s the case here. Second question - “You like this?” This question comes while some trinket is being offered. Despite declining the ganja, there was still plenty of fun to be had on the catamaran trip back, as the crew began doling out free rum punch followed by getting people on the front of the boat for dancing. You pretty much can’t avoid having fun somehow in the home of reggae.